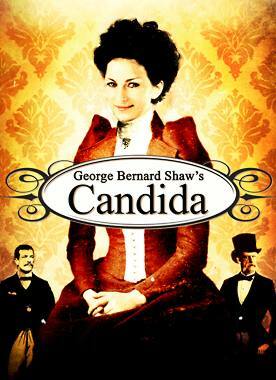 The Bay Theatre Company plans to donate a portion of the proceeds from the May 30, 2009 3 p.m. showing of Candida, a play by George Bernard Shaw, to Leadership Anne Arundel. The fundraiser includes an exclusive wine and cheese reception with the actors after the show. The Bay Theatre Company is located at 275 West Street in Annapolis. Tickets are $60 and can be purchased through Leadership Anne Arundel by calling 410-571-9798 or email [email protected]. A comedy, a story of love and family set in London in 1894. Candida, the beautiful wife of a popular preacher in East End London, has just returned from caring for her children at the seaside with a young friend of the family. This young man, an earnest poet, has fallen madly in love with Candida. The story turns on what happens when Marchbanks, the poet, tells Morrell, the preacher, of his love for his wife. It is ultimately Candida’s wisdom which saves the day. But in the meantime there is much laughter as the story is told. One of Shaw’s best scripts, the play runs under two hours, and is aptly subtitled, “a mystery” – a very funny one.